As Director of MIT's Center for Bits and Atoms, Neil Gershenfeld explores the boundaries between the digital and physical worlds. Yves Behar has produced some of the new millennium's most coveted objects, like the Leaf lamp, the Jawbone headset, and the XO laptop for One Laptop per Child. Technology columnist, David Pogue, interviews and showcases innovative engineers and designers using SOLIDWORKS products to develop everything from a space elevator to engineering your own beer. 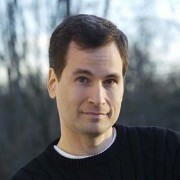 David Pogue is the founder of Yahoo tech. 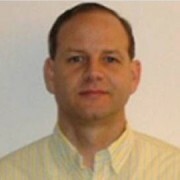 He's also a monthly columnist for Scientific American, hosts PBS "NOVA" and is a correspondent for "CBS Sunday Morning". He's also one of the worlds bestselling how to authors, with titles in the For Dummies series and his own line of Missing Manual books. Space Elevator: next-generation space transportation system. Connecting geostationary orbit to the Earth with a strong and lightweight cable and an elevator can transport things and people to Space. 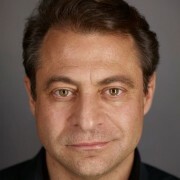 Peter Diamandis runs the X Prize Foundation, which offers large cash incentive prizes to inventors who can solve grand challenges like space flight, low-cost mobile medical diagnostics, and oil spill cleanup. 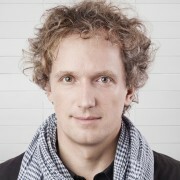 Yves Béhar is a design entrepreneur who believes that holistic product, digital, and brand design are the cornerstones of any business. 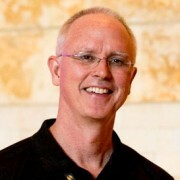 He is the founder and CEO of fuseproject, an integrated design and branding firm he established in 1999. Béhar is also the Chief Creative Officer of Jawbone, and the co-founder of August, the next generation home entry system. Béhar believes that design should be a force for positive social and environmental change. His collaborations with renowned partners have received international acclaim. Béhar's works are included in the permanent collections of museums worldwide, and he is the artist trustee of the Board of Directors of the San Francisco Museum of Modern Art. Behar has garnered over 200 awards, was named a Top 25 Visionary by TIME Magazine, and was recently named “Most Influential Industrial Designer in the World” by Forbes. 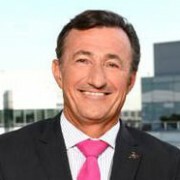 Bernard Charlès has positioned Dassault Systèmes, world leader in 3D software, as the preferred partner for innovation. The inspiration behind digital mock-up, product lifecycle management and 3DEXPERIENCE, Charlès firmly believes that 3D technology is about making possible the impossible: 3D universes are the most powerful vehicle for testing concepts and creating the future, bringing dream and reality together, and stretching the limits of science and imagination to drive progress in society. Dr. Peter H. Diamandis is an international pioneer in the fields of innovation, incentive competitions and commercial space. In 2014 he was named one of "The World’s 50 Greatest Leaders" by Fortune Magazine. 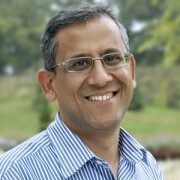 In the field of Innovation, Diamandis is Chairman and CEO of the X PRIZE Foundation, best known for its $10 million Ansari X PRIZE for private spaceflight. In the field of commercial space, Diamandis is Co-Founder/Co-Chairman of Planetary Resources, a company designing spacecraft to enable the detection and prospecting of asteroid for precious materials. 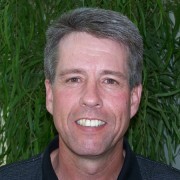 He is also the Co-Founder of Space Adventures and Zero-Gravity Corporation. Diamandis is the New York Times Bestselling author of Abundance – The Future Is Better Than You Think and BOLD – How to go Big, Create Wealth & Impact the World. Diamandis’ personal motto is "The best way to predict the future is to create it yourself." 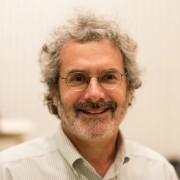 Prof. Neil Gershenfeld is the Director of MIT's Center for Bits and Atoms. His unique laboratory is breaking down boundaries between the digital and physical worlds, from creating molecular quantum computers to virtuosic musical instruments. 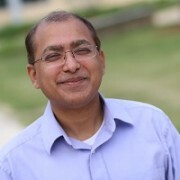 He is the author of numerous technical publications, patents, and books including Fab, When Things Start To Think, The Nature of Mathematical Modeling, and The Physics of Information Technology. 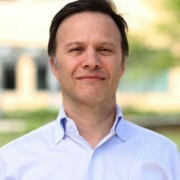 He is a Fellow of the American Physical Society, has been named one of Scientific American's 50 leaders in science and technology, and one of Popular Mechanic's 25 Makers. 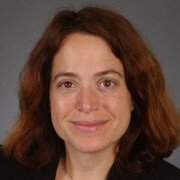 Dr. Gershenfeld is the originator of the growing global network of field fab labs that provide widespread access to prototype tools for personal fabrication, and directs the Fab Academy, the associated program for distributed research and education in the principles and practices of digital fabrication. 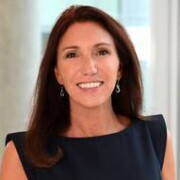 With the firm belief that brand equity is the prime source of growth for a company, Monica Menghini is committed to translating Dassault Systèmes’ vision into a unique value proposition, encompassing its corporate strategy, solutions portfolio, distribution network, and marketing model. She is bolstering the company’s capacity to reinvent itself as well as its ability to develop, deliver and implement groundbreaking ideas and solutions, especially through 3DEXPERIENCE. David Pogue joins us at SOLIDWORKS World 2016 to interview and showcase innovative engineers and designers using SOLIDWORKS products to develop everything from a space elevator to your next pair of eyewear.